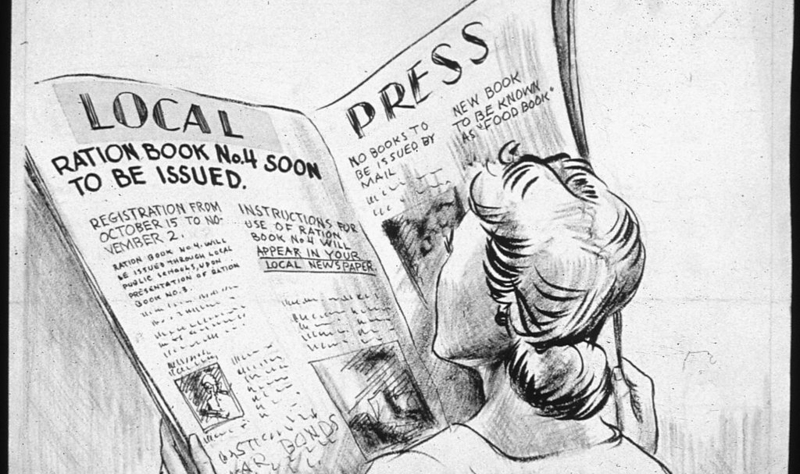 Too often, discussions about the state of journalism tend to be national-centric. Given differences across markets, this is not surprising. However, there are often more similarities than many people realize. This April, at the International Journalism Festival in Perugia, I convened a panel of four experts to explore some of these parallels – and differences – in the realm of local journalism. There are a myriad of reasons for this, including the fact these outlets are often “the only news voice in the community.” “So, they have a built-in readership and a built-in advertising base,” Ali says. Although their business model is changing, as more advertising moves online, and local retail markets continue to evolve, “there’s a trust in this kind of incumbency,” he contends. A more gradual pace of change has given some smaller publishers more time to prepare for the digital revolution, Ali suggests. Daniela Kraus, Director of FJUM in Vienna, also shares elements of Dr. Ali’s optimism, although she reminded the audience that the circulation of a local newspaper in the US (population 321.4 million) may be akin to that of a national title in Austria (population 8.6 million). “I meet many journalists in our training,” she said, “and there is much more optimism among the local journalists than there is about those working in the national media,” Kraus says. One key reason for this, Kraus believes, is the strong connection that many local outlets have to their audience. That said, Dr. Nielsen, acknowledged a “schizophrenic view” of local journalism held by many commentators. Alison Gow, Digital Innovation Editor with Trinity Mirror Regionals in the UK, echoed some of her panelists enthusiasm about the current state of local journalism, whilst also acknowledging that too often discussions about the industry diverge from this more optimistic outlook. “And what they actually mean is their experiences of local journalism is dead. The industry that they worked in – or that they believed existed- isn’t there anymore,” she adds. Across the board, the financial and economic battles faced by local news providers remains an overriding concern. In Austria, those who diversified early are best place to tackle this, Daniela Kraus revealed, whilst Christopher Ali highlighted opportunities to physically bring people together (e.g. through events) as a way to move beyond traditional income streams. 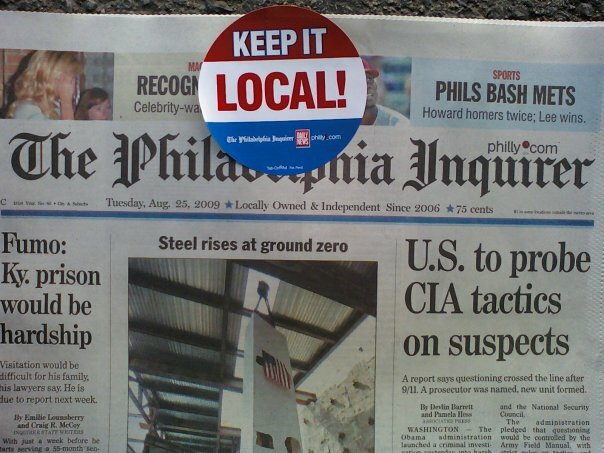 The front page of the Philadelphia Inquirer on the first day of its “Keep it Local” campaign. Source: Wikimedia, Lyonspen. Economics aside, the panel also highlighted the challenge of user engagement. “We are fighting for attention against people who may or may not care that we’re there,” Alison Gow said. To overcome this, Trinity Mirror is embracing live (from Facebook Live to Live Blogs) as well as using analytics to shape content and times of publication. Local news providers “have to be relevant and [you have to] engage your audiences,” Daniela Kraus concurred, noting these sentiments are not just editorial considerations. To do this, Alison Gow indicated, local publications also need to stress their value to regional and national advertisers, as well as their consumers. “They don’t understand our local audience penetration and the scale of the audience we have,” she said. Tapping into this more effectively, may help with their editorial distinctiveness and future economic prosperity.